Thanks to a good friend,I was able to try one of these "new" (at the time) Queen Charlotte shaving cream.As we know,Queen Charlotte is a made in USA artisan brand,which uses tallow in many of their products. 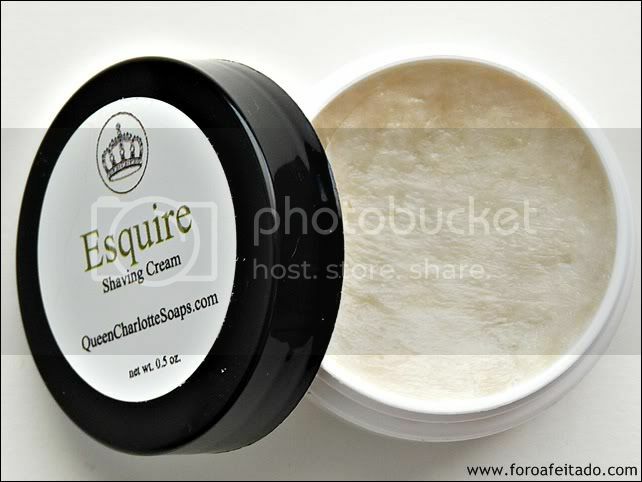 This Esquire shaving cream has a really nice scent as have became in one of the popular ones of this brand : the scent its a mixture of sandalwood with some fresh notes,which gives this cream a warm and herbal scent. Quote: a complex scent that starts with fresh, clean citrus notes, which are quickly joined by luxurious sandalwood. At the base, Esquire has a distinct dark, earthy note. Esquire smells classy, refined, and sophisticated. 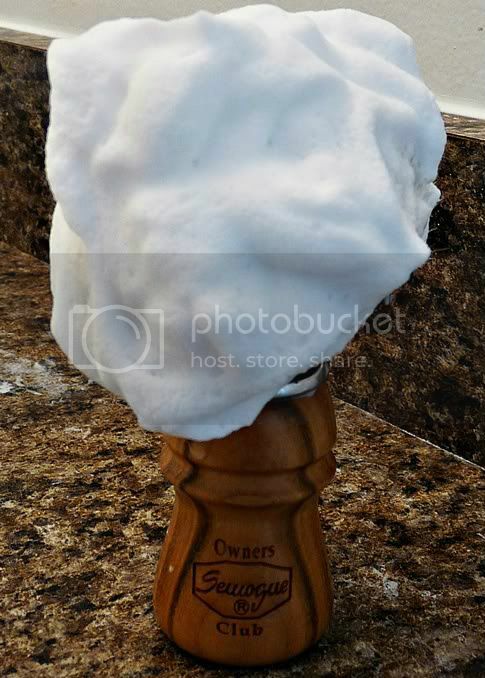 Classy and sophisticated are two words that can define this shaving cream. 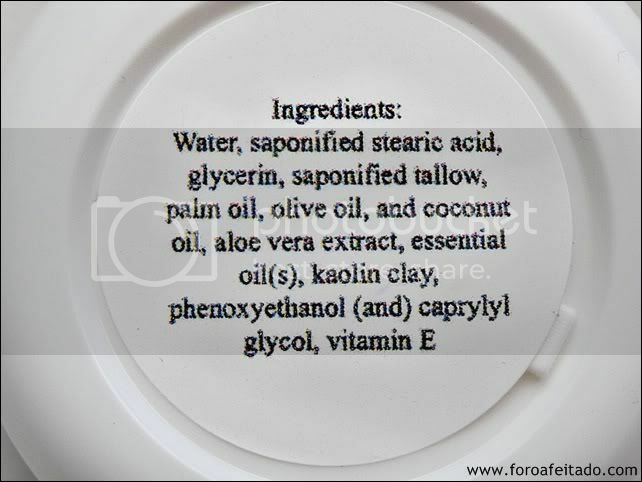 As we can read,this cream contains tallow,as well as olive and palm oil and stearic acid,as well as kaolin. The texture of the cream is really dense,and I would say that if I leave it open for a week,would get hard as a tripple milled soap. 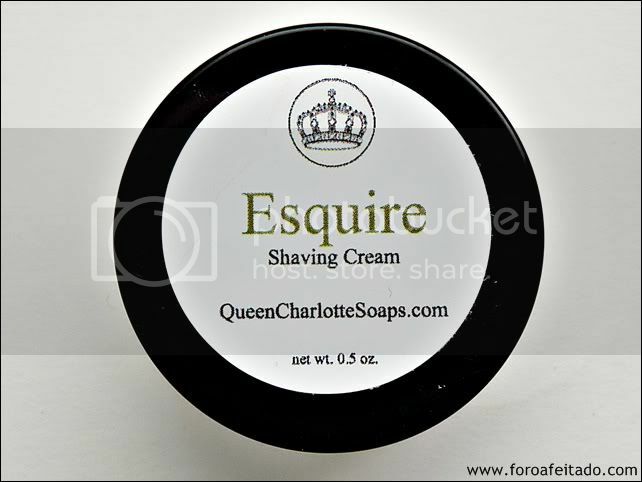 This cream provides a comfortable shave and has a lot of slickness.I do like how it leaves my skin after the shave,since I don't feel any dryness at all (I have a dry skin).If we add a really elegant scent,we have a good artisan made product.Well done for Queen Charlotte! i have yet to try the hard soaps, as i get such good results with the creams (hard soap texture), i see no need in switching. I've heard that one of the QCS soaps smells like English Fern... which one is it? Agreed this s a fine croap!! I love it! I've only tried the Celestial Woods cream, I assume the behavior is the same, and it's just great! Really outstanding slickness, great protection, great postshave... A winner! I have ordered some, and can't wait to try it!! You guys have have kicked my SAD, to wanting these soaps.